Republican Dan Debicella declared his candidacy for Congress on Wednesday, putting himself on the inside track to challenge three-term incumbent Democrat Jim Himes in the 4th District next year, a rematch of their 2010 contest. 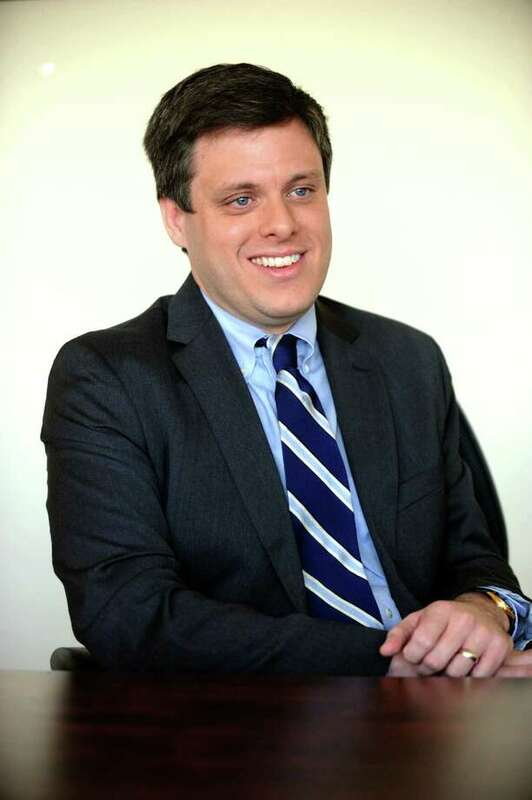 A former two-term state senator from Shelton, who spent the past three years working for Bridgewater Associates hedge fund in Westport, Debicella disclosed his plans to run in the 4th District in an interview with Hearst Connecticut Newspapers. Debicella, 38, cast himself as a fiscal conservative and social moderate whose problem-solving skills are sorely needed to break the partisan gridlock in Washington, D.C.
"The reason I'm doing this is my family lived the American dream and that dream is being threatened by Washington and entrenched politicians like Jim Himes," said Debicella, whose late father was a Bridgeport police officer and whose mother is a secretary for the federal court system. The task of challenging Himes, who the Democratic Congressional Campaign Committee tapped to be its national finance chairman, has drawn tepid interest from other Republicans. "While others may have been interested, Senator Debicella can make a compelling case for party unity," said Jerry Labriola Jr., the state GOP chairman. "He has the advantage of running before with a financial and political network already in place. The voters of the 4th District need a strong voice in the GOP majority in Washington to get things done." Debicella recently left his management post at Bridgewater Associates, the world's largest hedge fund. In 2010, Debicella mustered 47 percent of the vote in an unsuccessful challenge to Himes, who was completing his first term. Himes, a Greenwich resident, represents most of Fairfield County and a sliver of New Haven County. "I actually think this race is much like it was four years ago and will be the most competitive congressional race in Connecticut," Debicella said. During the 2010 election, Debicella was critical of Himes for supporting the Dodd-Frank legislation that established new regulations for the financial services industry. On Wednesday, he criticized Himes, a former executive with Goldman Sachs and a member of the House Financial Services Committee, for introducing an amendment that relaxed regulations on derivative swaps. "Jim basically sat down with Citigroup and had them write 70 out of 80 lines of the amendment," Debicella said. "Strangely enough, Citigroup is the top contributor to Himes' campaign." A spokesman for Himes, who captured 60 percent of the vote in his last re-election bid in 2012, defeating Westport resident Steve Obsitnik, declined to comment. Himes' supporters, who include state Democratic Chairwoman Nancy DiNardo, say that the amendment in question had bipartisan support and was the reincarnation of language first introduced by a Republican. "Because Jim has a financial background doesn't tie him to these groups," DiNardo said. "It just gives him knowledge to make good decisions." Debicella said he is not afraid to buck his party when it comes to social issues and immigration reform. He supports an earned path toward citizenship. Debicella labeled himself as pro-choice and a supporter of stem-cell research.